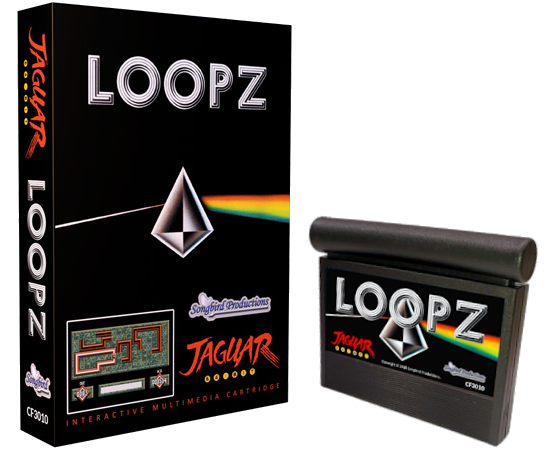 Songbird Productions is pleased to announce LOOPZ for the Atari Jaguar! In stock and ready to ship on the Songbird website. It's really very simple: you get pieces of different sizes and shapes. Then you have to fit them together to form complete loops. It's so simple, in fact, that most people can easily finish their first session in... oh... five to ten hours. But by then you're addicted. LOOPZ will tie you up in knots! 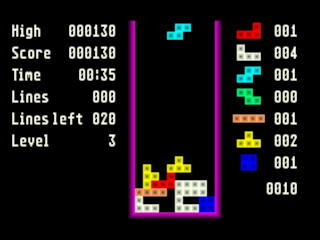 The two-player games feature either cooperative or competitive simultaneous play with a second controller. ProController support is also included. Various skill levels are available to challenge even the most competitive gamer! LOOPZ was released in November 2018. The game includes a professionally printed full color box, manual, and sticker. Order your copy now on the Songbird website! Thank you for all the support! Very excited to bring this intense puzzler to the Jaguar at long last. 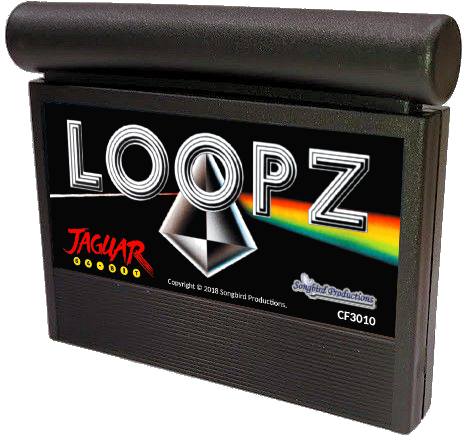 BONUS: Every copy of Loopz for the Jaguar includes a hidden game, Jagtris 2018! To access this game, simply hold Option while booting Loopz. 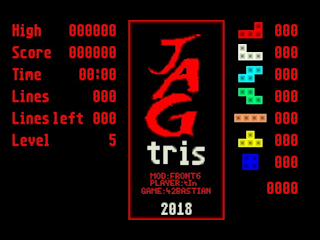 JagTris 2018 is an enhanced version of the falling block classic, originally coded by 42BS back in the 1990s but never published until now. Bastian has upgraded the game with superior controls, graphics, and scoring. It even supports the ProController for rotating blocks clockwise or counterclockwise! Edited by Songbird, Wed Jan 30, 2019 5:04 PM. Cool! Is this a game that was worked on during the jaguars commercial lifetime or later? In game video says it's a port...I'm guessing an ST port. Looks good, I don't recall ever playing this on any platform. Yes, the Lynx version of Loopz is excellent. 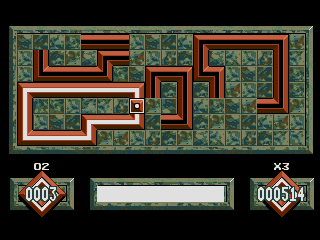 It was made by Handmade Software, who was responsible for some of the best Atari Lynx games. Glad to see this release for the Jaguar! Were they behind the ST port, or was it programmed by someone else? Is this an ST port just out of curiosity? Great stuff, love a good puzzler and there aren't many on the Jag. Will Telegames UK be stocking this title please? Looks fun! I'm guessing by the music it's an Amiga port? The BGM sounds straight out of Shadow of the Beast. When I saw the YouTube, it reminded me of arcade game called "Pipe Dreams" by Lucasarts... The art style almost looks a lot like "Reck It Ralph" by Pixar; they did work for Lucasarts before they ventured off and to become Pixar. From what i remember Rob Nicholson of HMS saying,they had finished Lynx Loopz bar a few bugs to be removed and approached Atari to see if they wanted to sign the game, but Atari never seemed interested and never made any sensible offers for it. So it remained in Limbo until Carl negotiated the rights to release it. Fantastic to see Carl now bringing it out on Jaguar..
Hm, ok. Looks like the ST Version, not the Lynx. Edited by agradeneu, Sat Oct 6, 2018 3:19 AM. Great to see all the interest! This is a really fun game to play IMO and I'm happy to bring a new puzzler to the Jaguar. The two-player modes in particular can get exceptionally crazy and they add a nice touch to an already solid game. To answer questions: yes, this is a port of the Atari ST version. It uses the original ST music which includes three different song options during gameplay. It does not save high scores to EEPROM; we looked into it, but it wasn't feasible. Telegames UK may eventually carry the game if I have stock remaining from this run. Hopefully with Songbird, Piko Interactive And Cyrano Jones all now putting in so much effort to ensure Jaguar owners are getting a steady stream of new titles to choose from, the ahem, 'concerns' of people belittling the games themselves just because they originated on the ST,can be kicked into the long grass. Jaguar owners are getting a great selection of FUN games to choose from,which clearly passed many by the 1st time around. 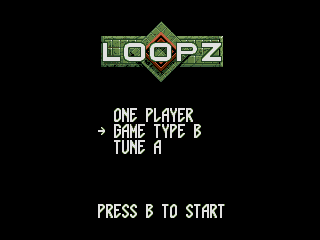 I loved Loopz on the ST back in the day, i wager it's simplicity has seen it hold up well and i would get far more from it today than say Tetrisphere on the N64 and thus Phear, if it ever arrived on Jaguar. I tried a good few more modern puzzlers..Weetrix+, Mercury etc. Give me the more straightforward, easy to start playing, difficult to stop titles anyday. I'm afraid I won't be at PRGE, but I'm going to pick this up as soon as it's generally available. The lack of high-score saves doesn't bother me a bit; pencil and paper still works for me. This looks like another great addition for the Jaguar! I'm regretting not going to PRGE! Edited by Machine, Sat Oct 6, 2018 2:52 PM. As a loyal Jaguar owner I appreciate the work of all the developers and publishers that keep the system alive including Cyrano, Piko, Songbird and all the others. Having new games to play and expanding the Jag library is always a good thing. Especially love the ports of games that were from the st that weren't available on most console based systems or not released in all regions. To me that's a brand new game and for that I say thanks! I loved Loopz on the ST, I will love on Jag! It has been a pleasure to work with yet another publisher to bring an additional fully licensed game to the platform. Thanks everyone for the kind and supportive words, and I hope you all enjoy driving yourselves crazy playing Loopz! It is cool to see it onJag and with 2 players mode!!! Edited by Felyx, Sun Oct 7, 2018 10:35 AM. You're like the George Soros and Koch brothers of the Atari Jaguar! hahahah... somehow, you're involved in every single project.